As James Buchanan notes in introducing his co-author Roger Congleton, Politics by Principle, Not Interest “embodies the working out and presentation of a single idea . . . the extension and application of the generality principle to majoritarian politics.” After laying out the theory, Buchanan and Congleton attempt to work it out in practical political reality. 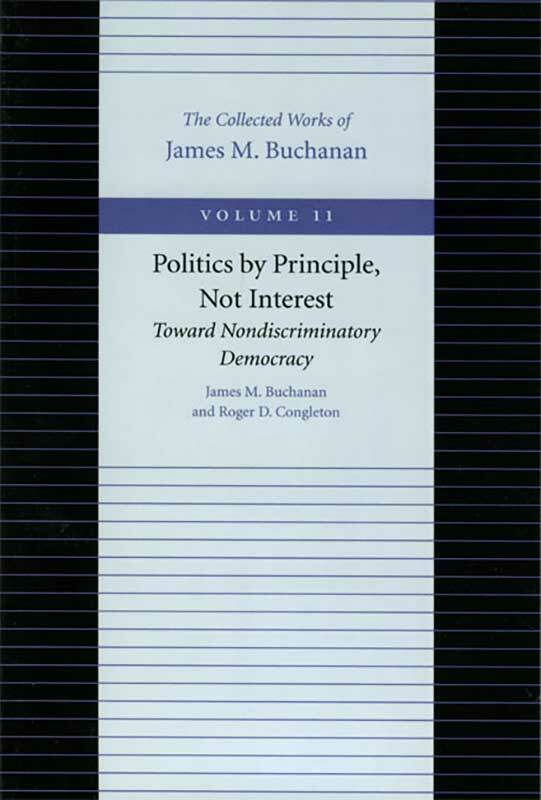 Buchanan notes that “it is much easier to discuss the generality principle as an abstract ideal than it is to define the precise conditions for its satisfaction in any particular setting.” Not daunted by the difficulty of the task, the two authors succeed brilliantly in applying the generality principle to the political arena. They are interested not in laying down precise do’s and don’ts for politics, but in pointing out the ideal of nondiscriminatory governance and calling for constitutional constraints on political action so it conforms more closely to the generality norm. List of figures and tables, foreword, preface, index.